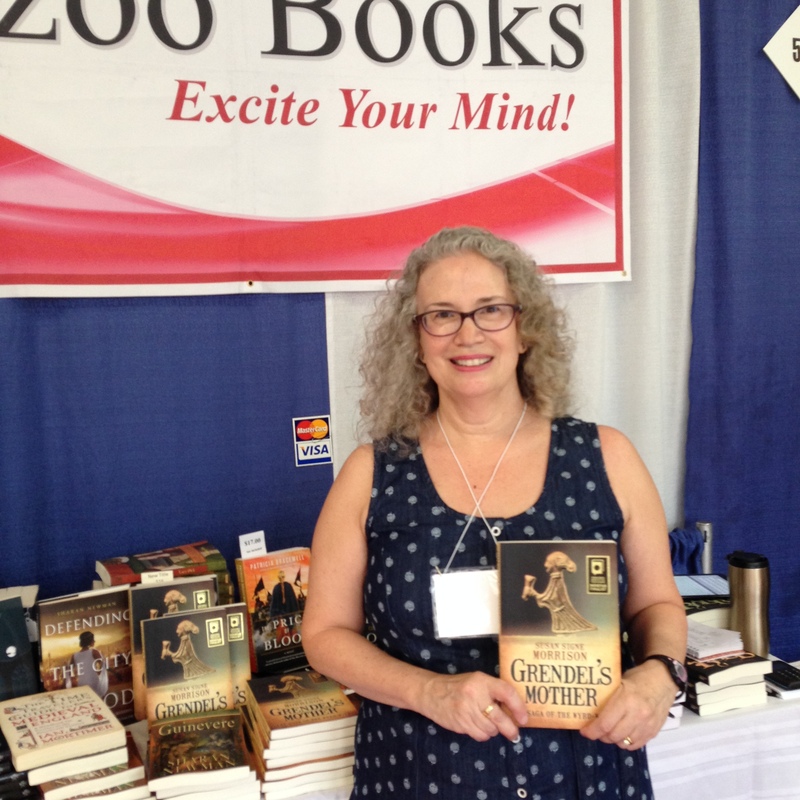 Grendel’s Mother and I at the Kazoo Books table. Medieval women dominated my experience the 51st International Congress on Medieval Studies, an annual conference that takes place at Western Michigan University. Imagine thousands of medievalists rushing to sessions with titles such as “Fanfiction in Medieval Studies” and “‘Get Ye Flask’: Friars and Uroscopy in Medieval England” (uroscopy being the science of analyzing urine). You can read more about my experiences here. I enjoyed a lovely dinner replete with fellow medieval novelists, including myself, hosted by Gloria Tiller at Kazoo Books. Here are some photos with the great writers Candace Robb, Grace Tiffany, and Sharan Newman. Be sure to read my rave review of Candace’s latest book here. 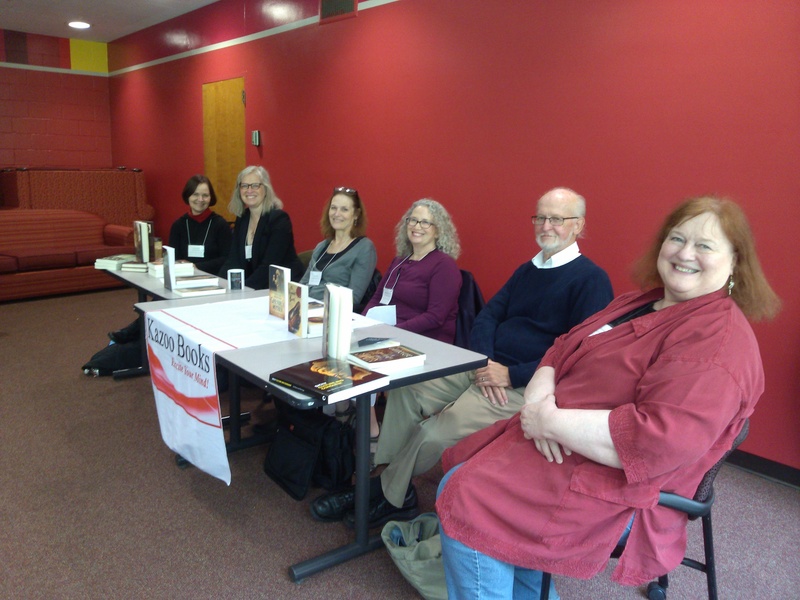 I was honored to be join these medieval novelists, along with Lucy Pick and Mel Starr, at the noontime brown bag lunch for medieval novelists who have a Q & A, hosted by Gloria. Writers interact with an audience of novel-reading enthusiasts. In the past, I was just sitting in the audience. It was a thrill to be sitting among these wonderful fellow writers! So, a conference replete with other women–medieval and modern, fledgling and experienced, American and experience–so it was a marvelous experience! Can’t wait to return next time! My son, John, wearing his new t-shirt.